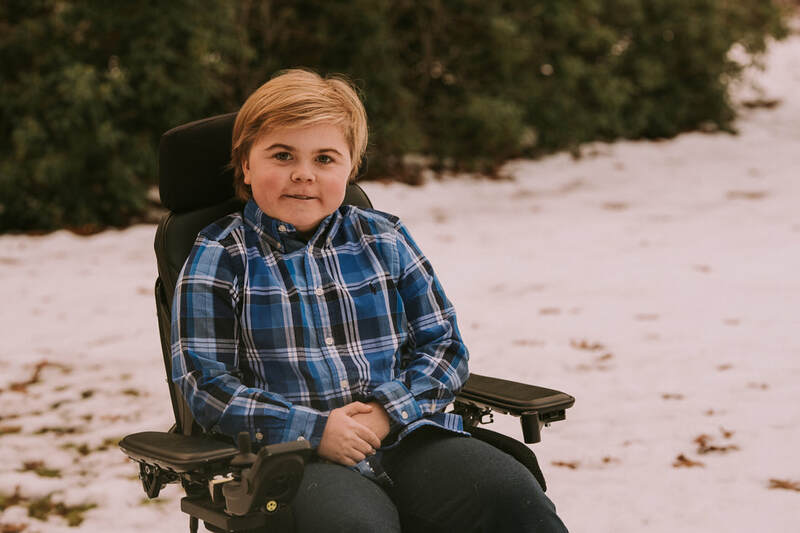 ​​​ ​Duchenne Muscular Dystrophy is the most common form, of the nine types, of muscular dystrophy; a progressive muscle disorder which causes weakness and loss or atrophy of the skeletal, cardiac, and pulmonary muscles. Duchenne is caused by the lack of dystrophin, a protein that keeps muscles healthy and protects, and aids in repair, from injury. ​Predominantly a male genetic disorder that affects approximately 20,000 children worldwide, or one in every 5,000 boys, each year. A boy inherits DMD when he receives a broken X-chromosome, that fails to make the protein dystrophin. About 1/3 of boys with DMD come from a family without any history of the disease. Boys with DMD show signs of muscle weakness as early as age 3; lose the ability to walk between the ages of 8 and 12; feel the effects of heart and respiratory muscles by early teens; and have a life expectancy of early 20s. ​JB's Keys to DMD's mission is to continue to educate and raise awareness of the disease; fund research; improve care and create quality of life experiences for our boys and their families.